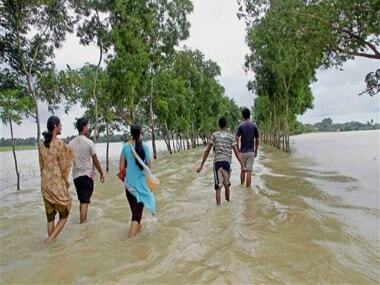 Guwahati: Three more lives were lost on Monday in Assam floods while 12 districts continued to be affected. 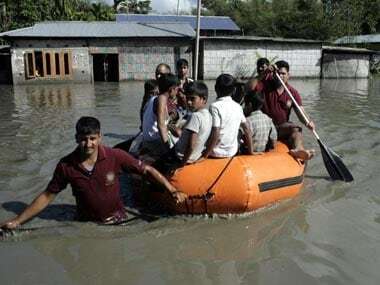 Two persons drowned in Darrang and one in Kokrajhar of lower Assam, pushing the death toll in the second wave of floods in the state to 70, an Assam State Disaster Management Authority report said. 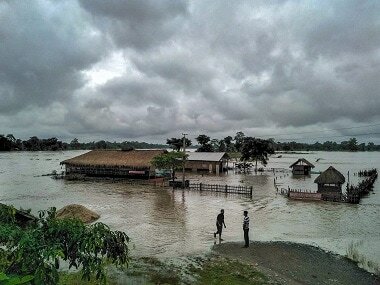 Altogether 14.36 lakh people are marooned in Dhemaji, Lakhimpur, Barpeta, Chirang, Kokrajhar, Dhubri, South Salmara, Goalpara, Morigaon, Nagaon, Golaghat and Majuli districts. Water is receding from human habitation and agricultural fields though over 76,000 hectares of farmland with standing crops is still inundated in the 12 districts, the report said. More than 46,000 people are putting up in 125 relief camps. The floods have damaged embankments, roads and bridges in Dhemaji and Dhubri districts, the ASDMA said. 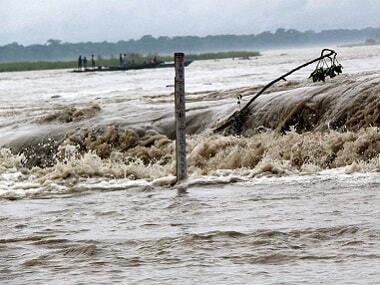 The Brahmaputra river is flowing above the danger mark at Nimatighat in Jorhat and Dhubri. The Dhansiri is above the danger level at Numaligarh in Golaghat, the Kopili at Dharamtul in Nagaon and the Beki at Road Bridge in Barpeta district.